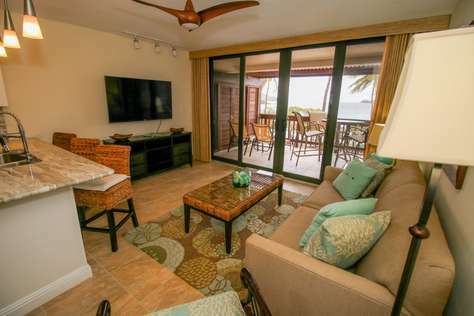 Sapphire is one of the prettiest beaches in St. Thomas, and this beautifully renovated luxuriously appointed one bedroom condo is situated right on the sand! 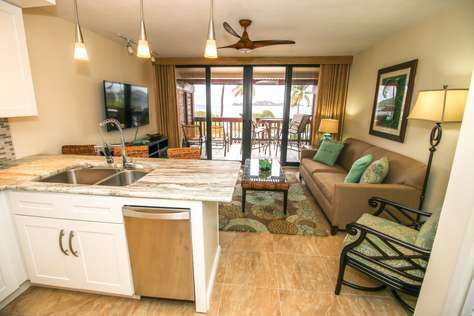 Walking into this gorgeous condo, you immediately notice the bright turquoise waters and white sands... which is your spectacular view during your stay! New tile floors, beautifully finished bathrooms, modern and sleek kitchen with new granite counters and tile backsplash. *Pack n play and sand toys for the little ones! 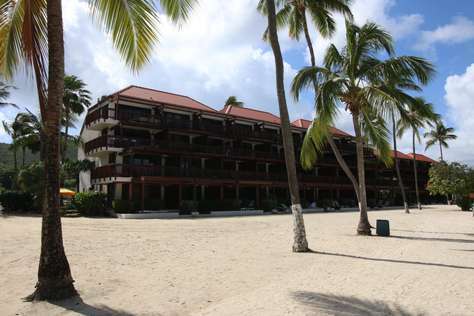 DISCLOSURE: Please note that the Building next door is being refurbished on the exterior through November 2016, so there is noise during the daytime when sitting outside on your balcony and at the beach nearby. The location could not have been better. 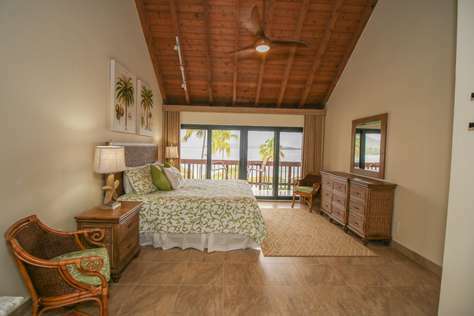 Right on the beach and a short ride to everything else you may want or need. 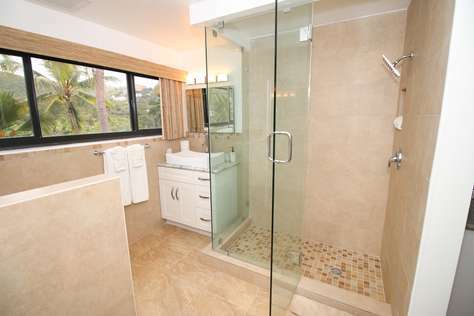 The condo was beautiful and had everything for you to use. We started each day on the balcony watching the sun rise. It was perfect! 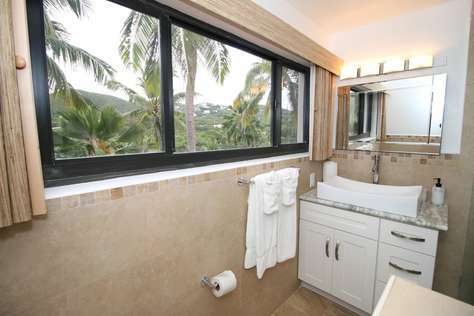 The condo was exactly as featured—beautiful kitchen, excellent views out to the ocean, clean—all very nice. 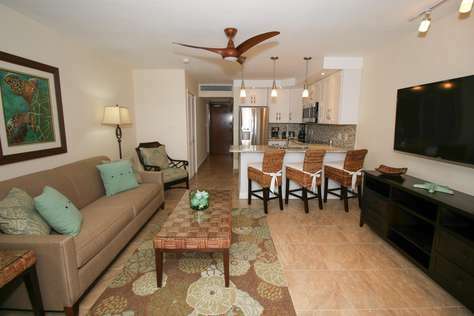 Upscale appliances, two nice balconies to sit outside, very nice bathrooms, comfortable bed. 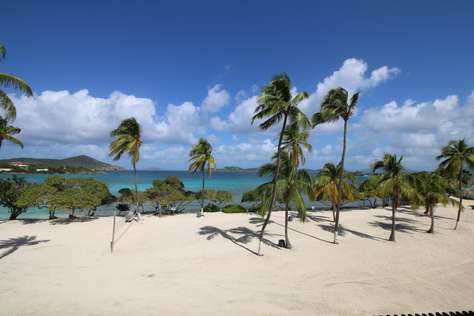 The beach is really nice—also clean and quiet, with a great bay to swim and snorkel. For some reason, I thought there was an on-site restaurant, but there is a little beach bar nearby and a little temporary food stand close by. The building next door is being renovated on the outside, which made some time during the day a bit noisy with jackhammers etc, but inside the condo, you couldn't really hear them working, which was nice. 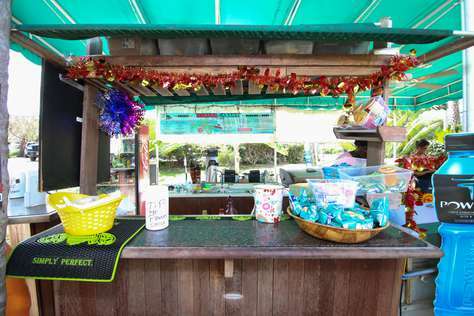 The pool area is not great, which is not the condo owner's fault, but the pool "bar" area is closed, dilapidated, and in need of repair. The pool itself looks fine, but we did not use the pool at all. I would for sure stay here again. The condo manager, Amy, was very nice and very responsive. 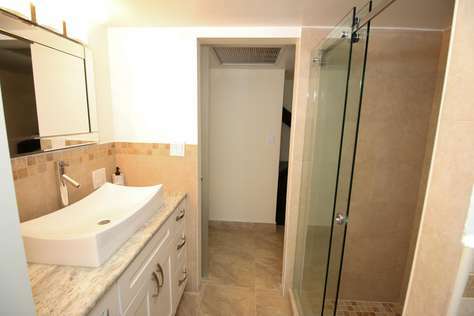 The condo (305B) is exactly as the photos show. The design & decor are tranquil & relaxing. The materials used are all beautiful quality. Aside a few needed repairs it was in almost new condition. The lighting is fantastic, the blinds are great and the furniture is very comfortable. It was very well equipped and has basically everything you'll need. The views & beach were breathtaking. There is really awesome snorkeling right off the beach (south side of the bay bordering PrettyKlip point). The beach lacks any sort of dining though there is a make shift "bar and grill" under a tarp between buildings. Getting free beach chairs was prompt and easy. There was a lovely breeze in the entire bay that made it comfortable even in late July. The WIFI was fast in the condo, the balconies large with comfortable seating. The bathrooms were luxury and the kitchen was fantastic. We found the Master bedroom a calming retreat that included ample storage & premium upgrades. 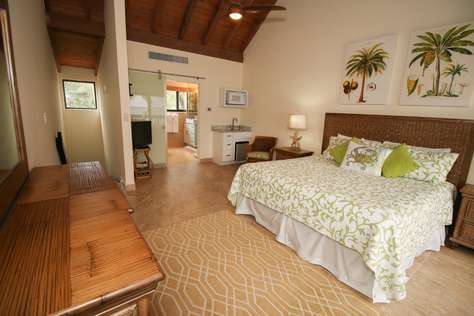 This condo at Sapphire Beach is the most beautiful, clean and completely renovated on both floors. 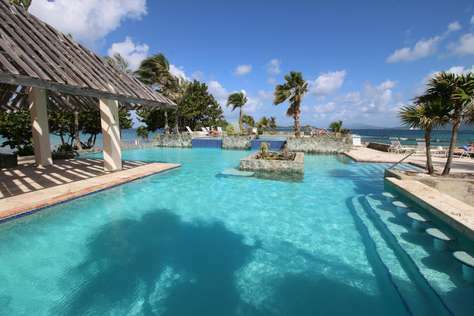 I spent weeks looking for accommodations on St. Thomas and at the Sapphire Beach Resort. Every resort and every condo did not meet my expectations of what I was looking for: location, beach, cleanliness, renovated, ocean view. Except for this one. All of the other resorts on St. Thomas were outdated, dirty and looked like the 1970's. This 2 story condo is breathtaking the minute you open the door. 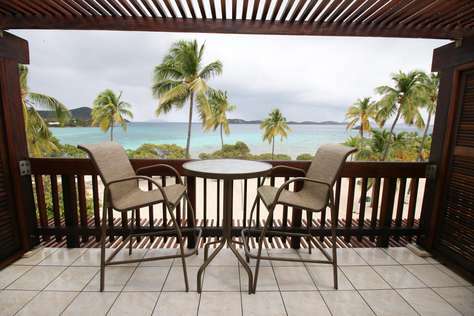 The unit has two huge balconies overlooking the white sand and ice blue water. The furniture is very comfortable and new, the white kitchen is gorgeous with all the appliances and accessories you will need, 2 huge renovated bathrooms (one on the main floor and one upstairs), air conditioning and ceiling fans. The resort is beautiful and quiet. There are no restaurants or bars so at night it is very peaceful. Red Hook is a 2-3 minute drive from the resort for dinner, drinks, fresh market grocery store or taking the ferry to St. John. The entire experience staying at this condo was above and beyond. 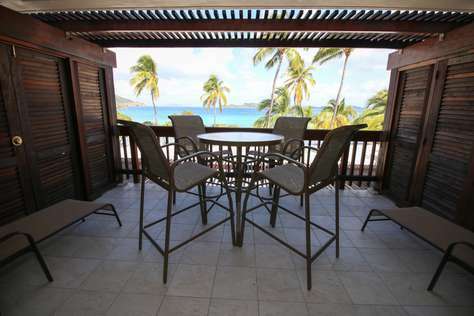 It is a 2 story condo, absolutely beautiful, peaceful, gorgeous ocean views and feels just like home. We can't wait to go back and this will be the only place we rent. 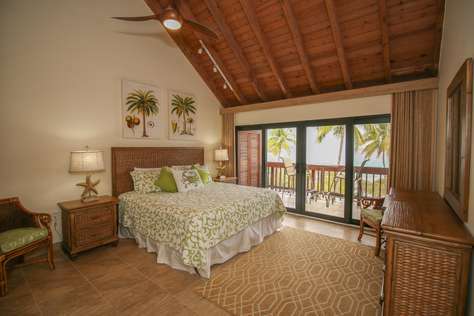 The property management company, Sea Glass Vacations, who books for the owners, is amazing, very personal and helpful. 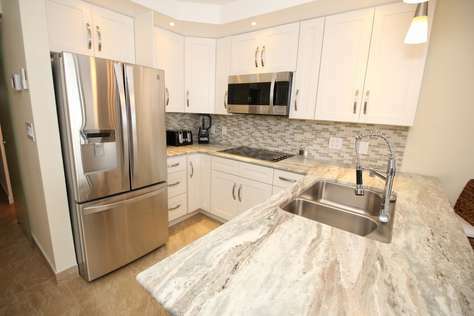 She also mentioned that the owners have 2 other renovated condos so you could inquire about those as well. This condo does not disappoint.